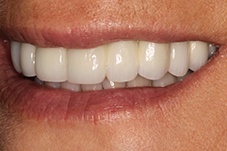 Dental implants are truly special when it comes to replacing missing teeth because they are the only treatment that brings back the root, creating a strong foundation for a patient’s renewed smile. 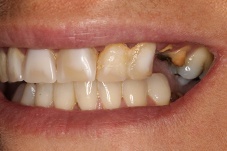 Once these new roots are in place, they need to be attached to the restorations that will actually show within the mouth. 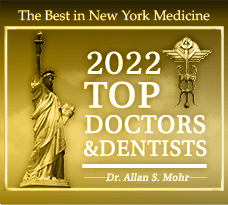 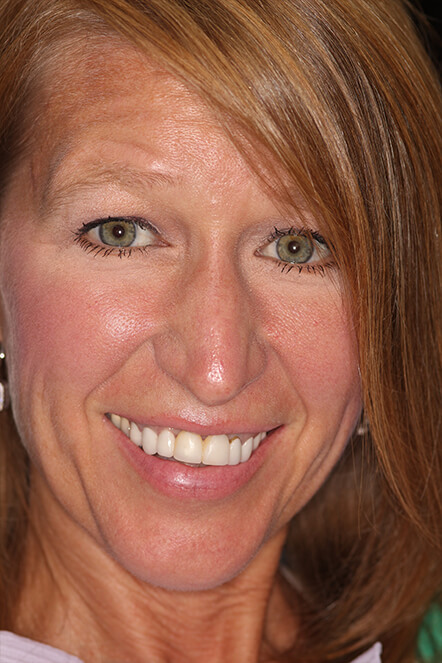 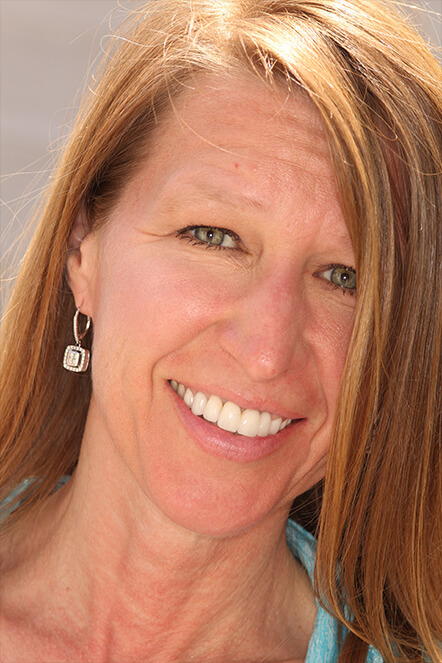 This is where Dr. Mohr’s expertise as a highly-trained cosmetic dentist comes in. 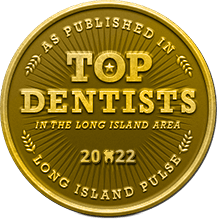 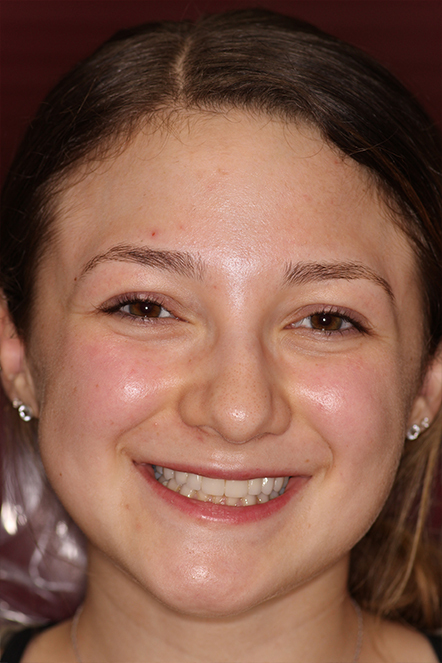 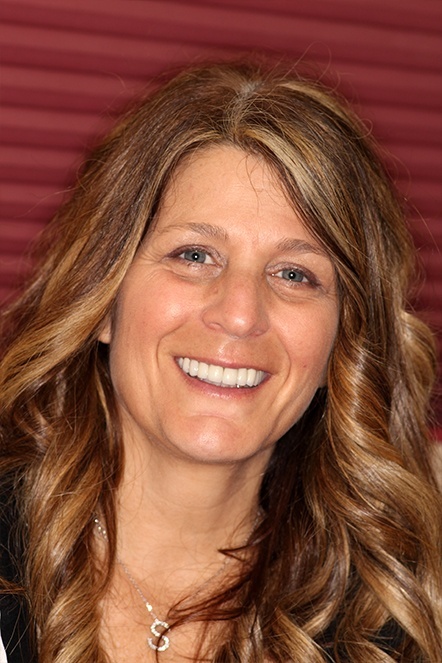 Using custom-made crowns and bridges, he can ensure that his patients who get dental implants in Massapequa enjoy a result that looks natural, beautiful, and can be trusted to last for a lifetime to come. 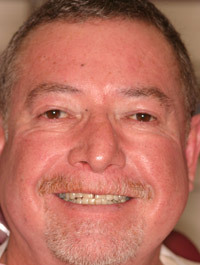 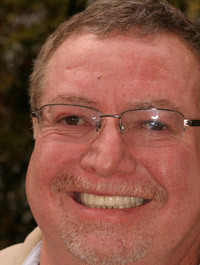 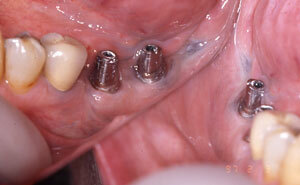 Why Choose Dr. Allan S. Mohr for Dental Implant Crowns & Bridges? 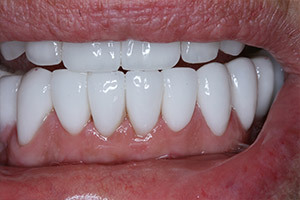 While a traditional crown can help rebuild a broken or decayed tooth, implant crowns are the only kind that can actually bring back a missing tooth. 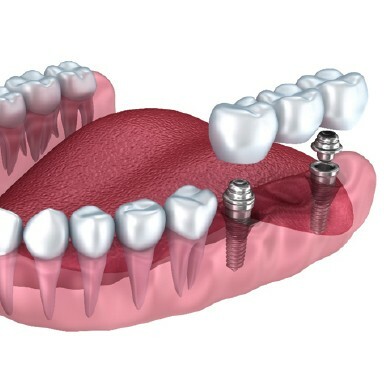 The difference is that an implant crown is designed to fit over a prosthetic root, while a regular crown has to be shaped so it can replace the missing portions of a damaged tooth. 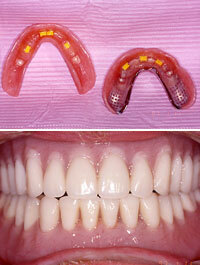 Implant crowns are typically made of 100% dental porcelain, giving them an extremely lifelike appearance. 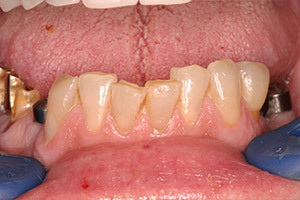 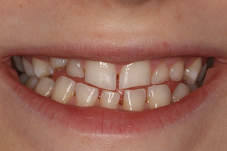 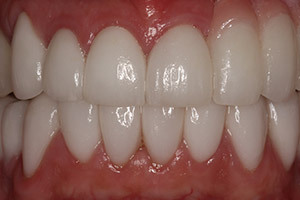 Bridges are used to replace multiple consecutive missing teeth, and in order to place a traditional one, dentists typically have to shave down the healthy teeth surrounding the missing ones in order to fit crowns that will support the prosthetic teeth. 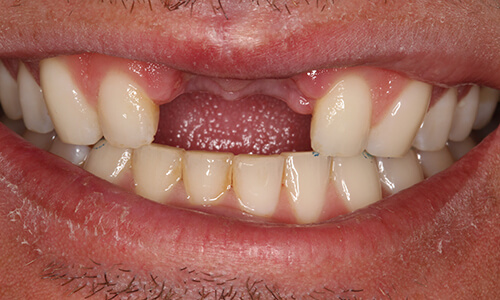 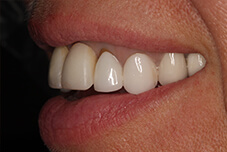 However, implant bridges enable Dr. Mohr to give a patient this restoration and preserve their remaining teeth, because the prosthetic teeth are instead held in place using implant crowns. 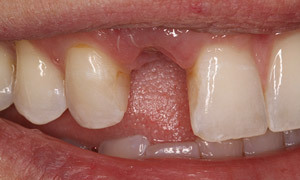 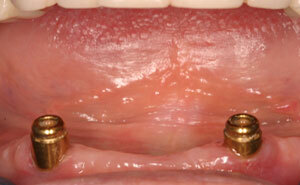 This makes them ideal for patients who do not have enough healthy dental structure to support a normal bridge. 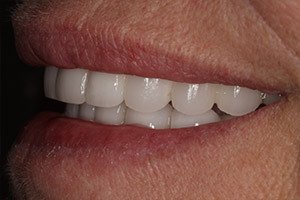 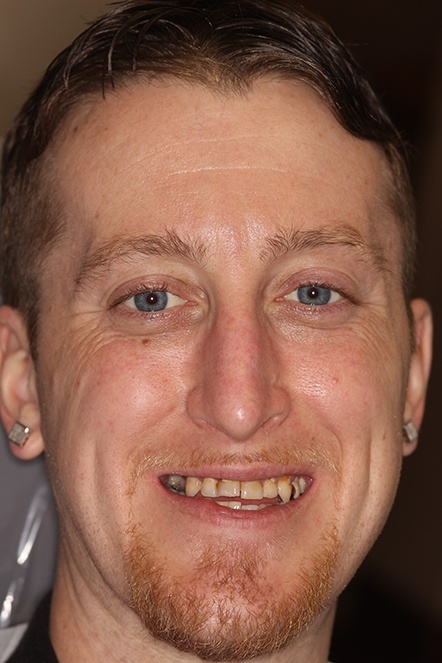 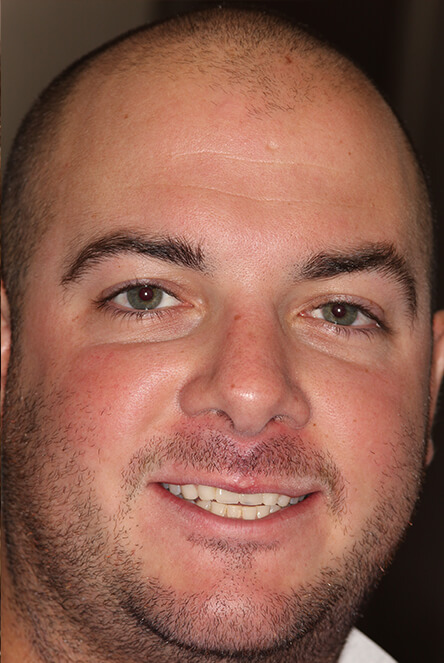 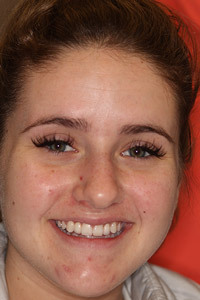 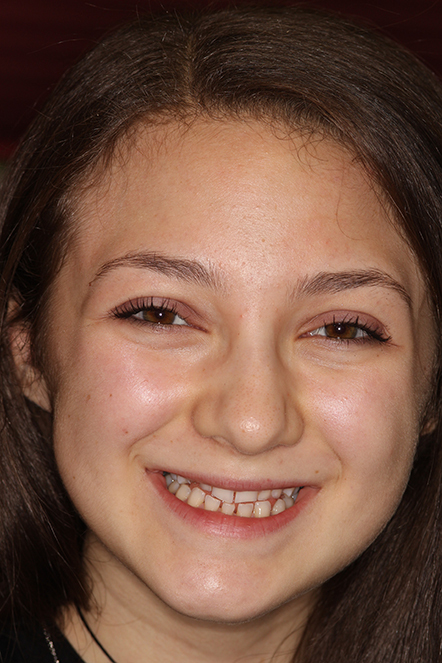 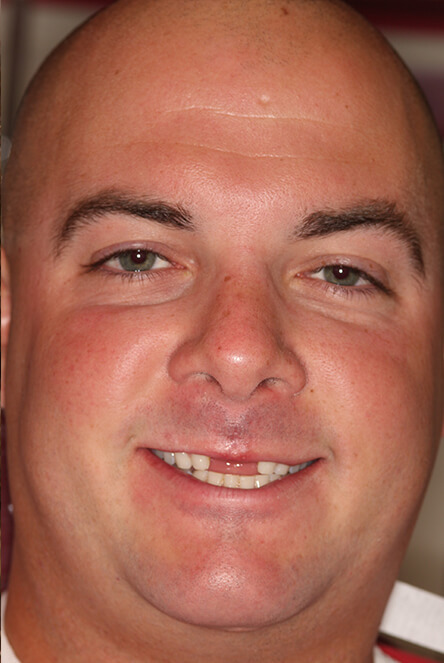 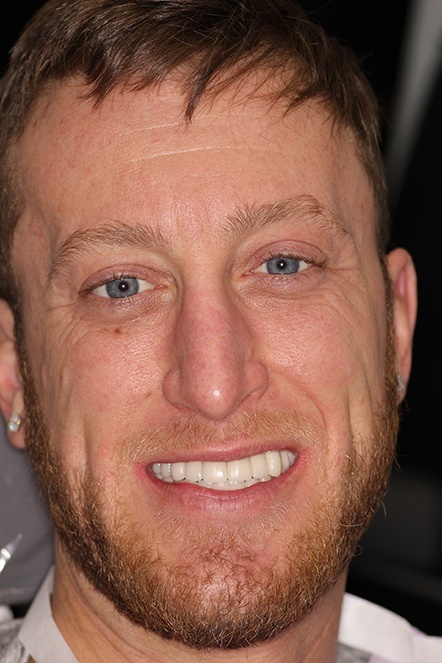 Realistic Appearance: Dr. Mohr is one of the leading authorities on cosmetic dentistry in the country, so when it comes to getting implant crowns and bridges that look, feel, and act just like natural teeth, he’s the man to see. 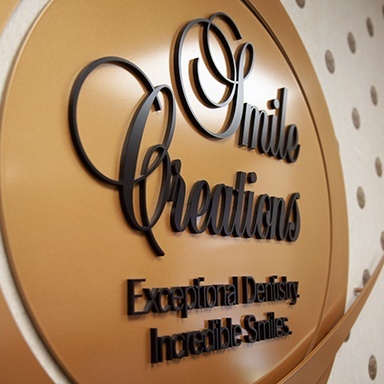 He painstakingly designs these restorations himself and only works with the best dental labs and ceramists in the area to manufacture them. 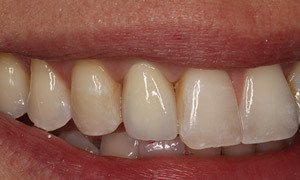 Durability: Fortunately, Dr. Mohr’s implant crowns and bridges don’t just look good, but they can be trusted to last as well. 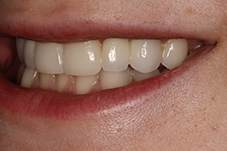 Dental porcelain is an extremely strong material that holds up reliably to the chewing forces, meaning patients won’t have to give their restorations a second thought. 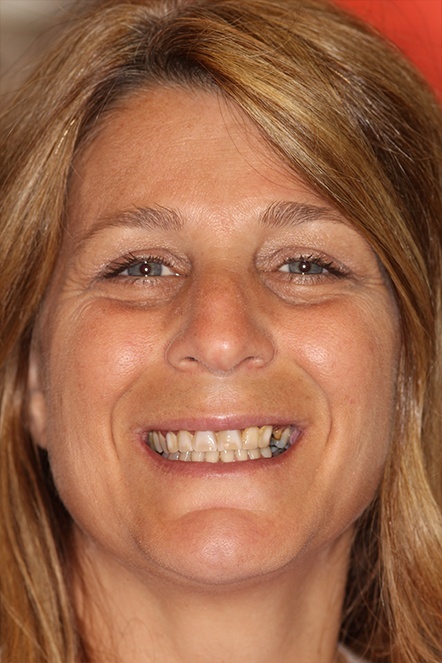 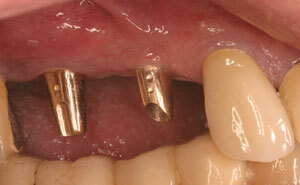 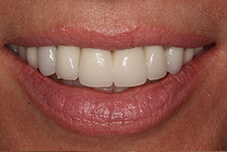 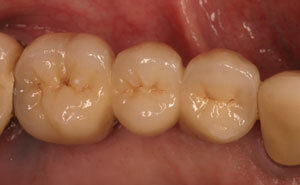 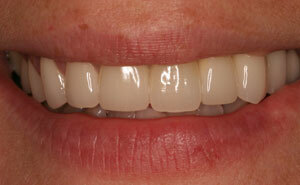 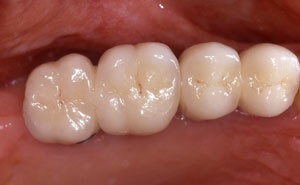 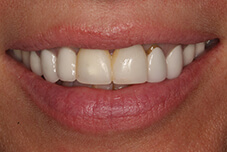 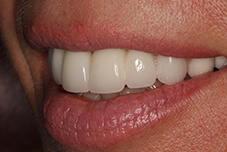 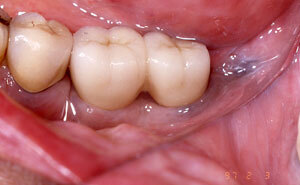 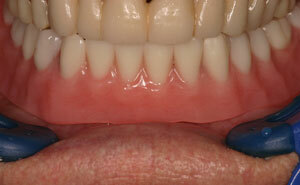 Easy Maintenance: Want your implant crown or bridge to look like new for years to come? 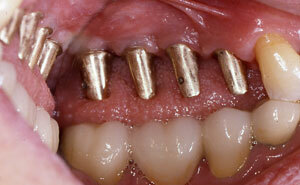 If so, you won’t need some elaborate care routine. 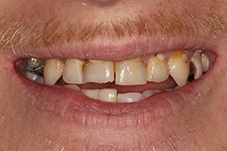 All you have to do is look after them like natural teeth. 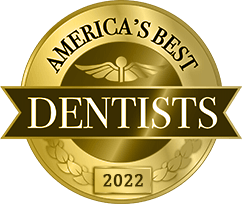 This means regular brushing, flossing, and professional checkups/cleanings are all that’s necessary to help them really last. 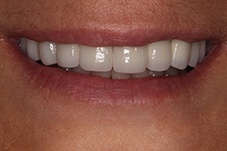 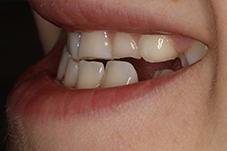 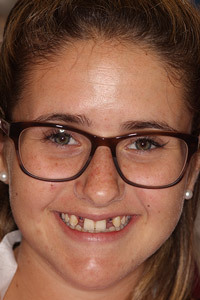 How Do I Get an Implant Crown or Bridge? 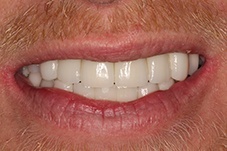 If you’d like to have one or more missing teeth replaced with dental implants, all you need to do is contact Dr. Mohr to schedule an initial consultation. 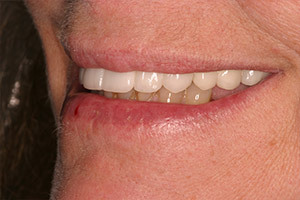 At this appointment, he’ll examine your gums and jawbone so he can determine if you’re a good candidate for implants. 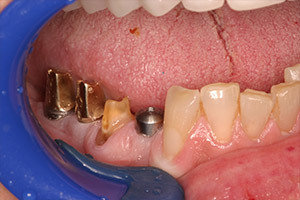 If you are, he’ll refer you to one of his “dream team” of specialists to place your implant(s), and then he’ll give you your specially-designed crown or bridge after you’ve had a few months to heal. 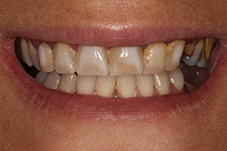 Take a look at the incredible before and afters below, and take advantage of our limited-time offer: affordable monthly payment plans for dental implants, as low as $199/month. 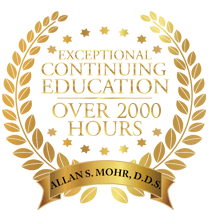 Call us today to learn more and schedule your complimentary consultation with Dr. Mohr! 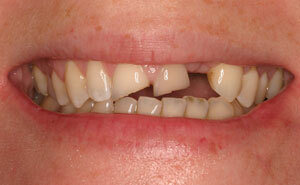 If anyone understands the trouble that missing teeth can cause, it’s Dr. Mohr. 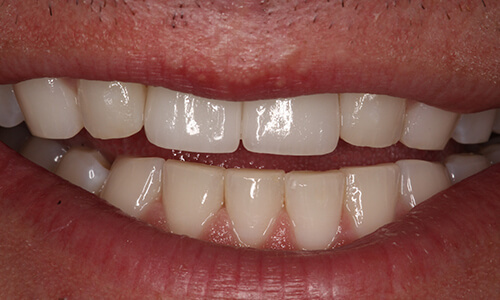 He sees patients with incomplete smiles every day, but he’s able to revitalize their oral health and confidence with his beautifully-made implant restorations. 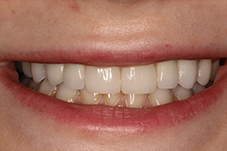 To learn more about implant crowns and bridges, or to schedule a consultation so he can start rebuilding your smile, contact us today.